It was the early 2000's and the world had just traversed the 21st century horizon. It was a hopeful time, a time before war, a time before a disgruntled nation. I was in college and paying $900 for tuition at a state university. That's right $900. Nowadays, that's the price of a class unit. By the time I graduated I was glad to have escaped the clutches of a looming economic downturn. A college degree seemed to have more weight more then, at least to me. Most people that I knew didn't have to take the college route in order to stand a fighting chance. Options in life were much less constricting; people weren't trying to keep up with the rising costs due to inflation. The world was my generation's oyster. The same, however, cannot be said about today's grads. A college education is not only exponentially more costly, but you aren't granted the promising future many alumni found. While obtaining a degree is a life path more encouraged and commonly pursued among young people now, it just doesn't cut it for many employers anymore. The competition is out there is fierce so the standards have had to be raised. With the cost of education as skyrocketing as they are, what more can be asked of grads who have worked so hard to acquire skills in making themselves valuable members of society? Our economy remains weak dispite making progress since its worst recession times and the future isn't looking so bright for those we consider to be our nation's future. It's an unfortunate reality, a stubborn bull, that grads can either conquer it by the horns or get crushed underneath its overshadowing gloom. The answer here, folks, is to give that bull a run for its money and ride it all the way to success. Take a page out of my book and use it to write your own. These are the mistakes that grads are making that are keeping them from landing the jobs they deserve. 1) Relying Too Much On Their Resumes. Even if you're on the shy or more reserved side, you need to be a shining star. The brigher you shine, the easier employers can see you among the vast number of other twinklers. You are competing with people just as good as you but you want to be convincing enough to say you're the best, or at least better than who they think is the best. Accomplishments, credientials, and experiences (ACEs), you've all got them, but whose prove to be more useful and appealing for the position? Instead of spitting out a laundry list to the employer, you want to demonstrate how those skills matter to what you're applying for. Remember, you're selling yourself. Make the buyer an offer they can't refuse. If you hesitate or don't show conviction in what your'e saying the employer is going to shop around for something better. Try not to put too much emphasis on the content of your resumes but instead on the significance of the content. Point out useful things that the employer can relate to their company. Don't worry about the quantity of companies you are applying to, rather, conduct a quality search. Research specific companies that you believe you stand a strong chance and actually really want to work at. This will make it easier to put in the most effort for each place that you apply and if these are your top choices then the more determined you'll be to get an interview and subsequently a job. If these companies belong to the industry that you want to work in, then get to know who's who within it. Each company is different and has its own culture. Learn about these differences and what defines these companies as brand. Not only will you be more knowledgeable to interviewers but it will give you some insight as to whether you're a suitable candidate for them. Do more than superficial research, dig deeper and learn about the company's history and it's future plans. Make every sent application count. I remember even before college, to prepare for a test, I wouldn't (I can hear the gasps now). My thinking was that to avoid getting too nervous about it I should be confident in the fact that I paid adequate attention during class to have retained the information well enough to test it. For the most part, I did well for myself. But when it comes to something like an interview, it should never be approached with such a nonchalant attitude. Yes, you don't want to seem scared, but looking like a deer in headlights could cost you more than a test score. Don't go into an intervew without having done some practice rounds ahead of time. As opposed to a test, interviews require good answer on-the-spot. You have to be able to think quickly on your feet and that helps with preparation. Employers want to see that you put some effort and planning to the interview process and they'll take that into account as a reflection of your work ethic. Use the interview opportunity to speak about how you can contribute to their mission. It's a rough world out there, grads, but you don't have to fear it. You have to know to adapt to it and make it work for you. The better you are at making the most of your advantages, the better you'll be at coming into your own in a job market that has kept a tight clutch around your career prospects. Your skills only tell one chapter of your story, stay in control by continuing to write the rest of it how you see fit. The was once my oyster and it can be yours too. Take hold and savor it. 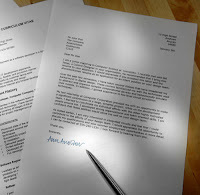 The purpose of a cover letter is to give yourself and your resume and introduction. It allows you to talk about your resume in detail and provide the potential employer with additional information that is relevant to the job description. When executed well, a cover letter can be the difference between a call back and a rejection. A few tweaks can turn a bland cover letter into a gateway for opportunity. A good cover letter coupled with an equally good resume will make your job search more productive in seeing results. The process has become increasingly digitized making some people lazy or get too carried away. Often times, even good candidates can get lost in the jumble. Keep in mind that it all starts at the same place, the cover letter. One that is well-written will capture the attention of the reader and lead them to the resume for consideration. A bad one is usually where it begins and ends. Good cover letters and resumes are brief and proofread. No matter what position, they should always look as professional as possible so formality is very important. Like a resume, cover letters should not be set it stone or have a single version. They need to be updated to stay current with company standards. A resume is a step closer than the cover letter, so a bad cover letter might get your resume completely neglected. Demonstrate that you put time and effort into composing a cover letter that reflects who you are as individual and why you want to work for their company. Sell your qualities and contributions to them. Address a specific person, talk directly to the reader and pick up a phone if you can't find that information without inquiring it. Your skills are the product you want them to buy so you have to be the salesperson to convince them why passing you up is a mistake. You can't do that with a generic cover letter template. Readers like stories, be descriptive and use plenty of examples. Show them that you are versatile and adaptable to a workplace. Use it as a presentation of your written communication skills. #2: Personalize the letter. The reader of a letter addressed to an anonymous person isn't as affected by it compared to reading a letter meant specifically for their eyes. Beyond seeing their own name on a letter as opposed to being referred to as "whom it may concern," the reader sees that you took the initiave to seek them out. It's advised in all your job searches to conduct research and review the company website and gain some knowledge on their background. This also helps in what areas and topics to focus on in your cover letter. #3: Write a summary not a novel. Recruiters fantasize about a day that they read resumes and the amount isn't staggering. Your cover letter needs to be focused and short--two to three paragraphs. Long ones, no matter how interesting, are tossed aside simply because they have other letters and resumes to look at that they have to use their time efficiently. They only have so many minutes in a work day that even spending five extra on just one applicant is five minutes too many. A cover letter allows you to highlight and expand on your skill and achievements, not tell your life story. #4: Follow up claims with support. Again, emphasis on examples. Imagine that your letter is an interview, include only the most important things so that they can see your qualification as an ideal candidate. Do a show and tell with your words. If you're going to say that you're good at something then show them how with a detailed account. Be honest and don't exaggerate. You don't want to put yourself in a situation where they expose you for your fraudulent claims. Remember that along with these you want to always proofread any and all professional documents. Many people end up kicking themselves later when they catch all the careless mistakes that could have been taken care of with just one or two more reads. Since cover letters are your first impressions on a recruiter, you want to make sure it's as close to perfect as possible. Your first impression could easily be your last. In a rough economy, people will try out a variety of approaches to making themselves a desirable candidate like adding variety to their resumes. But this idea of the more you've done the better it looks can actually have a reverse effect. A lot of employers frown upon job hoppers as it shows a lack of commitment to a position, something companies truly value. According to the Bureau of Labor Statistics, the average American will have around nine jobs between the ages of 18 and 32. Those testing out the waters in search of their perfect job end up hurting their chances. They fail to realize that having so many jobs in a short period of time--a few years or so--don't gain the necessary skills and experience from the jobs that they would otherwise be able to claim that they learned. Also, by not giving the job a chance, they're not able to see whether it's something they might want to hang on to after all. A number of people oozing with potential and ambition are holding themselves back from the maturity they need to succeed in the business. Job seekers and professionals should consider each company as nourishment for their careers. Every position worked is a gold mine of skills and abilities waiting to be unearth and mastered--even if it isn't what they want to for the rest of their lives, it's learning experience. While less people are actually spending decades of their lives at a company, leaving a company within less than a year isn't by any means more beneficial. The relationships built with every company becomees an asset to your overall career. By staying with the company longer, you have a better chance of moving throughout the company, particulary up, and with each move learn and develop new skills. 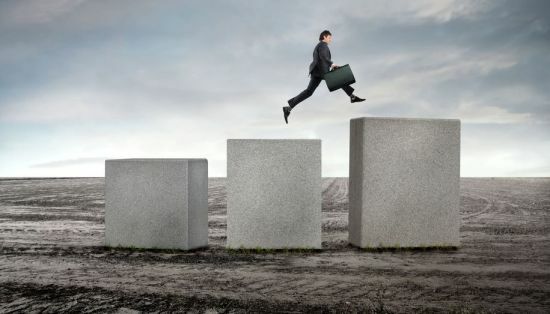 Each jump between companies means having to start anew and again be the "new guy" having to learn to adjust and get familiar with a new company and its culture. Job hopping prevents employers from seeing your full potential, and shows prospective employers that you weren't able to completely plunge into a position to do so. It becomes impossible for your resume to reflect any growth or progess withi a company if you end up calling it quits just after a few months. In many cases, the time frame that an employee is hired and leaves is the time it takes to adapt. It's always best to apply to and accepts jobs where you believe in the company's mission and like the people there as naturally you'll stay longer. If you feel uncomfortable in the work environment or feel that you don't fit in a corporate culture, you'll spend your days working with a negative attitude. This may not only result in dissatisfaction from the job, but also in less-than-friendly interactions with co-workers. You should not apply anywhere before doing your research on the company because it's an important part of the job search and interview process. You'll save both yourself and the company's time from a bad situation. There are, of course, many different reasons for why a person would need to leave his or her job--downsizing, lack of opportunities, or a desire to seek out an entirely different career path. Since it takes time and resources for companies to fill positions, the less they have open the better. This is why they want to retain employees for a long period of time by supporting their value systems, giving them meaningful work, and encourage an open flow of communication. These days most companies are willing to be more flexible to employee's needs and what it is they also want to get from working there. The relationship is more mutually beneficial. But employees also need to be more proactively engaged when managing their careers by asking for and taking on more challenging projects and expanding their skills and contacts. The best way to start this off is by having a good attitude. This will set the tone for your approach in your work habits and will keep you from being hestitant toward taking on new roles in the company. Employees shouldn't expect to be able to sit back and be heavily managed. Don't wait around for the work to come to you, you have to go after it. There are so many resources out there for you to take advantage of in order to feel fulfilled in your career. Don't let them go to waste! Make new contacts, but make them mean something. A contact is useless if the person can't remember you. Job hopping will have a bad effect on your resume as it will make you have only your own immediate interests in mind--that you're only looking out for yourself and take advantage of the companies' resources while you find them worthwhile. No company wants that kind of employee. This one-job-to-the-next practice will leave a lasting impression on an employer as well as any prospective one. Management will give more opportunities to those who they feel it won't be going to waste--those who have stuck around and proven themselves as reliable workers. Your reputation as a worker is a major factor when it comes to looking for jobs, and if you have a bad one that shows you're a job hopper, you'll be lucky if the next person who looks at your resume doesn't pass it up. During an interview, most of us wish we could be able to read the interviewer's mind. Knowing what they're thinking could be just the key we need to get in the door. Unfortunately, that is the reality. We go through the entire questioning wanting to ask some of our own. Am I dressed appropriately? Am I likeable enough? Do I sound smart? Was that the right answer? And the pondering continues even after the interview has ended. 1) They may not be very good at interviewing. It may be intimidating to go into an interview and feel that your interviewer is going to crush you with knowledge completely foreign to you. But it isn't always safe to assume that the interviewers know exactly what they're doing as some of them might actually be inexperienced, unskilled, unprepared, or otherwise unable to conduct effective interview. In fact, they may be even be more nervous than you. Not all interviewers get extensive training on how to conduct an interview well and may just be winging it. 2) They want you to talk about salary. This may be a scary topic to touch on as it always come down to making the right guess. As frustrating as it can be for job-seekers who don't want to low-ball themselves by naming a number off the top of their heads, employers actually want them to take that dreaded plunge fearlessly. It would be so much easier if employers would just tell you a number rather than ask for one but no one ever said life was easy. 3) The over-friendliness is genuine. In order to make an interview go smoother, it's better if the candidates are relaxed. That way, the interviewer can get better answers and see who they are past the nerves. Interviewers want the interviewees let their guards down so they can see your personality, not just how you are formally. Plus, they also know that when you're comfortable you'll reveal something about yourself that your self-conciousness wouldn't permit. 4) It's less about qualifications than it is about being a good fit. Even the most qualified candidates don't make it. Why? Because interviewers eliminate candidates based more so on whether they feel that person will mesh well with the office enivornment, people, and culture. It takes a lot of resources and energy into taking on a new hire so employers want to make sure they get it right the first time. Even if you may not meet all the requirements, if an employer finds you as a suitable match for their company you have a good chance of getting a call back. 5) Don't just tell them what they want to hear. If you're still employed and they ask when you'll be able to start, don't give them a date sooner than two weeks. It reflects badly on your character in that you are willing to give your current employer inadequate notice before leaving. Interviewers take note of that and they won't see you as a desirable candidate if they can expect you to do the same to them. 6) They often underestimate how long the position will stay open. They might tell you that they plan on scheduling interviews next week or make a decision by the end of the month, but those statements are never set in stone and shouldn't be assumed as the final word. Whatever may come up within that time is unpredictable and they need to manage their tasks in order of priority. 7) Everyone is told "Thanks, but no thanks." Rejection letters are made to be vague and recipients should not take them personally. Most are standard form letters that are sent to all rejected candidates used with the same language for everyone. Don't bother trying to read too much into them as it won't accurately convey the reasoning for your disqualification. Just take it as they've decided to go with a more fitting candidate; leave it at that then move on. 8) Keeping your resume on file doesn't guarantee it will be reviewed again. Employers tell you that they'll keep your resume on file for the next time they have an open position... but only because it's required of them by law. Rarely will they reconsider you for another position if they didn't find you suitable for one. This is mainly because with the constant flow of incoming resumes, they simply don't have the time and energy to refer back to the pile of previous applicants. 9) "We'll call you" usually means what you think it does. There really is no nice or easy way for anyone to flat out say that they are rejecting you. Most companies have taken to the common practice of not getting back to candidates instead of giving them a "no." Nowadays, the silence speaks for itself. While this may be rude and inconsiderate to candidates who took the time out of their lives to sit through an interview and coming out empty-handed, this attitude of "out of sight, out of mind" has become more commonly accepted. 10) Your initial approach affects your overall happiness. Using gimmicks and aggressive sales tactics won't get your very far in your job search. You want to be able to stand strong with your own qualifications and positivity. That will make it more likely for you to end up working somewhere that rewards your behavior rather than merit. Good hiring managers will reward based on performance and will see right through the insincere tactics. It's all about first impressions. 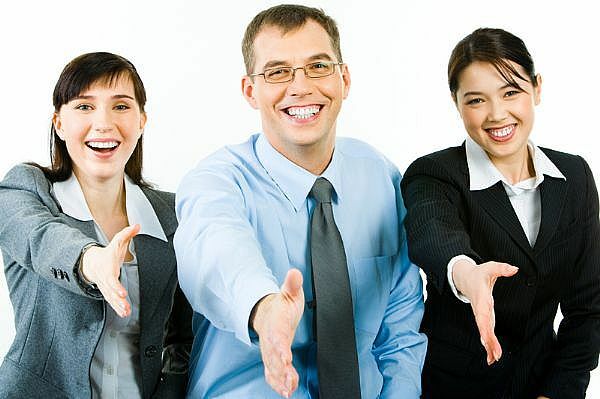 First impressions are extremely important as they go a long way and can even make up for other lacking areas. A first impression is what the person meeting you remembers most about you and uses as a foundation to judge the kind of person you are. And trust me, they will be judging you. Keep in mind that people you are meeting for the first time, more specifically employers, don't know what to expect, so their first impression is what's going to fill in the unknown and stay there. In an interview, where your your resume may lack in qualifications, how well you represent yourself can make a big difference. If an interviewer likes you, they may give you a second chance despite having more qualified candidates that may not have the "it" factor they see in you. Bad impressions, of course, can end an interview in minutes. Interviewers aren't going to waste time on people who ruin their chances before getting started. They just don't have the time. For instance, wearing the wrong attire will get the interviewer preparing for the next candidate. So you want them to like you the second contact has been made. The last thing you want to do post-interview is to walk out of there kicking yourself because they may have gotten an inaccurate impression of you based on that instance alone. Keep your eye on the prize. Know what you're setting out to do before meeting people whether it be one, few, or many. As your own spokesperson, think about who it is you want them to meet and focus on maintaining that attitude. It allows you to have a consistent energy that radiates among different people. Determining your approach ahead of time will make it easier when interacting with the person you're talking to. Letting them get to know you as a concrete person translates to them that you are consistent and reliable. Be aware of your appearance. You have to be very careful about your choice in how you adorn yourself with accessories. People will take into consideration these extra add-ons on top of your overall dress. For women, make-up should always be subtle--save the glamour for a night on the town. It's good to get a second opinion from other people so you can gauge a variety of tastes. Your appearance is the introduction before the introduction as it says a lot about your personality. In most cases, you want to avoid being over-the-top, but the rule of thumb for most people is to dress business casual. Nice, but not too nice. It's not only what you say, but how your body says it. Along with how you look, body language is also very important. Half of your message is relayed throught your speech; the other half, your body. That goes from posture to how you carry yourself, and even the way your body is angled. Just simply being aware of your movements can keep you from sending the wrong message. Even though you may not find your gestures or or body placement a factor they very much are when a person who doesn't know you well is trying to read you. Being conscious of how others may perceive you will keep you from pushing the wrong button whether directly or indirectly. Engage yourself with others. When you've got a hold on all the things that pertain to yourself--your attitude, your looks, your presence--it's time to bring it all together for presentation. Being genuine in your approach is a must as people will be able to see if it's there or not. Have an interest in the interviewer or group and be someone that they find interesting as well. It's a simple principle of treating others as you want them to treat you but it's true. If people feel that you really want to get to know them, they'll do the same and in terms of job prospects, this will truly help you.